Bioscience engineers from KU Leuven already knew how to produce gasoline in the laboratory using plant waste like sawdust. Now they have created a roadmap for industrial cellulose gasoline. To achieve this form of bio-refining, the scientists developed a chemical reactor in their lab, using which they can synthesize cellulose gasoline on a small scale. But the question remained how the industry can integrate this and could produce it in large quantities. Our researcher, Aron Deneyer, has now investigated this. 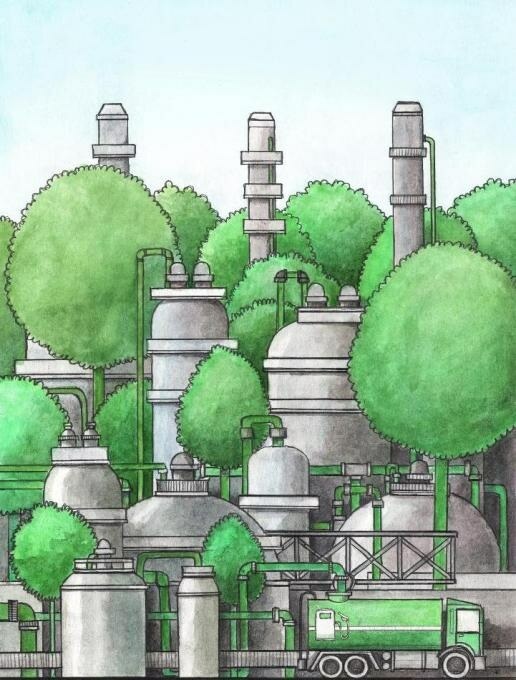 He examined in which section of the existing petroleum refining process the cellulose is best added to the petroleum to obtain a strongly bio-sourced gasoline. In other words, we now have a ready-to-use recipe for cellulose gasoline that the industry can apply directly: without loss of quality for the gasoline and making maximum use of existing installations.